Each year I record a few important details alongside my children’s class photographs, including what they want to be when they grow up. Over the past couple of years my boys’ standard response has been “AFL footballer” but there was a time when one son (then aged four) said “I want to be a publisher, use a computer and use the iron.” If only we had a local Scribble Press – he could have started on the path to becoming a publisher (the ironing can wait). Scribble Press is the brainchild of two US mums, Darcy Pollack and Anna Barber, who both grew up writing stories and making their own books. Wanting to share that experience, they created Scribble Press, a place where kids and families can write, illustrate and publish their own books. There are two Scribble Press stores (New York and Santa Monica) and each is a fully equipped art studio complete with printing and bookbinding. Kids can choose from more than one hundred templates if they need ideas to get their story started or they can create their own tale from the very beginning. As well as book publishing, Scribble Press has lots of other art and craft activities, workshops from comic books to creative storytelling and will even host parties. Why are we telling you about Scribble Press when it’s in New York? It’s like Moomah, Purple Dragon and Crown & Crumpet – sometimes ideas are simply too good not to share and it might inspire someone to consider these ideas locally. 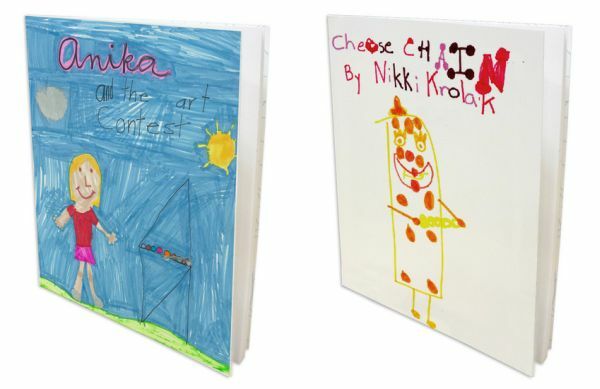 Nevertheless, Scribble Press has an online store that includes ‘Make Your Own Book’ templates and art supplies that can be shipped to Australia by arrangement.